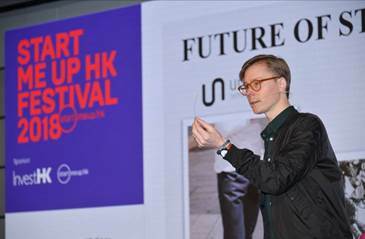 The third annual StartmeupHK Festival 2018, organised by Invest Hong Kong (InvestHK), ended Friday, 2 February following a week of events covering multiple facets of the start-up sector across a sweep of different industries, giving glimpses of the future while demonstrating the dynamic and vibrant nature of Hong Kong’s start-up scene in the present. 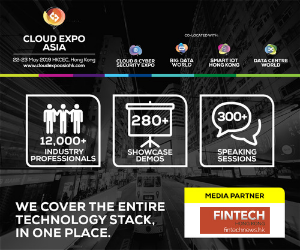 The week drew more than 6,000 delegates and well over 150 speakers, presenters, panelists to the Hong Kong Convention and Exhibition Centre, to tackle broad themes such as fintech, healthtech, smart city, retail technology and the Internet of Things. InvestHK’s signature event, the Venture Forum, which kicked off the week straddled all these areas, including gaming and transportation. 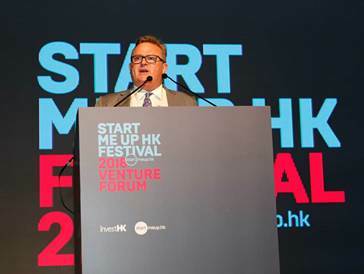 Stephen Phillips, Director-General of Investment Promotion, InvestHK, delivering a welcome address at the StartmeupHK Venture Forum on 29 January. In his opening address at the Venture Forum on day one, Hong Kong Financial Secretary Paul Chan noted a growing number of overseas funders, citing the unique advantages offered by Hong Kong to start-ups, including prime location, low and simple tax system, rule of law and world-class financial and professional services. His point was illustrated by the various speakers who followed. Day one wrapped up with Y.J. Fisher, Senior International Counsel for business development with Virgin Hyperloop One in the U.S. She offered a vision of transportation in the future with the company, which is developing electromagnetic propulsion technology to transport people at the speed of a plane, with the capacity of a train and the convenience of the metro. 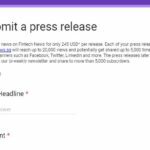 The Fintech Finals, a start-up pitch competition and conference, took place on days 2 and 3. 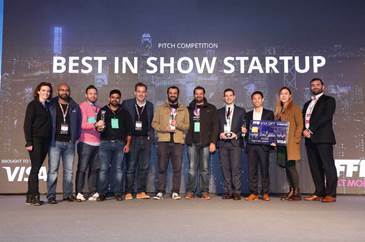 At the end, a start-up called Checkbox won Best in Show, a cash prize of USD 10,000 and an exclusive invitation to work with a team of Visa subject matter experts. 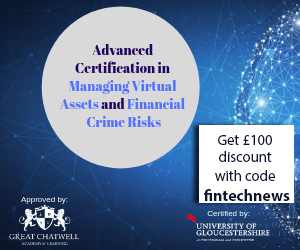 Checkbox is a platform that enables the digital transformation of regulation and compliance processes into business applications in the cloud. Best in Show winner Checkbox at Next Money’s Fintech Finals 2018 held on 31 January. Of the other prizes, Best Early Stage Startup went to jumper.ai (Singapore) and Best Growth Stage Startup was won by Moneytree(Japan). Blue Fire AI (Hong Kong) claimed the Best Mature Stage Startup prize. Alongside the Fintech Finals on Tuesday, KPMG hosted the Connected City conference which looked at technological trends in the urban landscape, examining what it means to enhance a city’s liveability, workability and sustainability. Organised in collaboration with the Smart City Consortium, CLP, JOS and Siemens, it included keynote speaker Dr David Chung, Under-Secretary for Innovation and Technology, HKSAR Government, talking about the future of Hong Kong as a smart city. 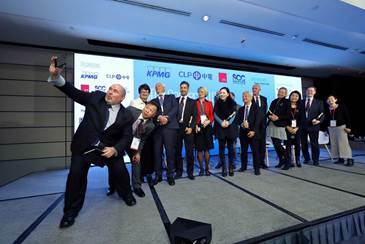 Anson Bailey, Partner, Head of Technology, Hong Kong & Head of Consumer & Retail, ASPAC, KPMG China, taking a selfie with guest speakers at The Connected City Conference organised by KPMG on 30 January. said Anson Bailey, Partner, Head of Technology, Hong Kong & Head of Consumer & Retail, ASPAC, KPMG China. 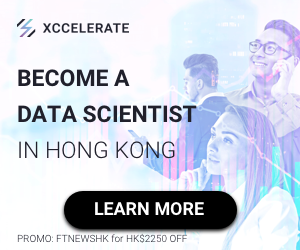 Alongside this, KPMG launched a new report based on a survey of Hong Kong’s business executives and citizens which identifies areas of excellence around Hong Kong’s smart city development, along with areas for improvement. 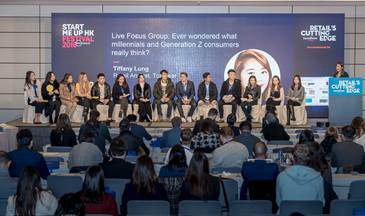 Millennials joined a panel discussion and answered questions posed by moderator Tiffany Lung, Retail Analyst, Tofugear and from the floor at Retail’s Cutting Edge organised by Inside Retail on 31 January. Wednesday’s other event, running in tandem with the Fintech Finals, was Retail’s Cutting Edge, hosted by Inside Retail Hong Kong, which included an experiential retail virtual reality room, a retail marketing class and retail technology workshop. As well, there was a retail tech start-up pitch competition. This was won by Boutir for its mobile app that enables retailers and individuals to set up an online store in just three minutes, and then manage their product listing, inventories, customers and transactions. Thursday’s HealthTechO2O, hosted by NexChange, proved very popular, bringing together around 1,000 health professionals, HealthTech entrepreneurs, investors and regulators to share intelligence and experience on the latest in health tech. 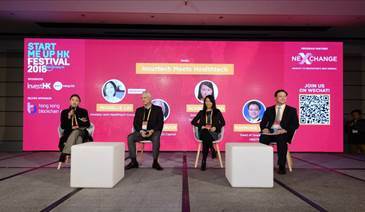 A panel session entitled “Insurtech Meets Healthtech” at Healthtech O2O Summit organised by NexChange on 1 February. The StartmeupHK Festival ended Friday with the Internet of Life Summit, hosted by The Mills Fabrica and Brinc. With a strong line-up of speakers and over 60 start-ups exhibiting, this event looked at the fusion of technology and everyday life, reflecting the potential of emerging technology to change the world we live in. It was organized with the support of HSBC, KPMG, SGS, Far Eastern New Century Group and Woolmark, and drew more than 1,700 attendees. The week was further augmented with events such as a startup services marketplace, job fair and seminars produced by the startup community partners including WHub, Zegal, IndiaTech and Zeroth among others. Erik Bang, Innovation Lead at H&M Foundation, presenting at The Internet of Life Summit organised by Brinc and The Mills Fabrica on 2 February. 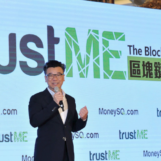 For further details, please go to the website (https://www.startmeup.hk/smuhk-festival-2018/).